Lights, camera, action … the powerful production of Andrew Lloyd Webber’s Tony award winning masterpiece invites audience members to look past the glitz and glamour of 1950’s Hollywood and unearths what life was really like for cast and crew members working for Paramount Pictures back then. 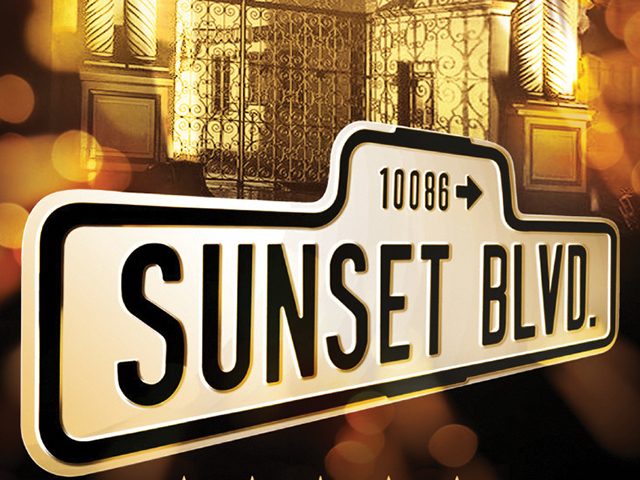 “Sunset Boulevard” is a compelling story centred around romance and obsession. It’s brought to life on stage by a big band style orchestra, incredibly detailed set design, and intricate lighting. The musical, performed at the Bord Gáis Energy Theatre, tells the story of Norma Desmond (Ria Jones), a famous silent movie actress who no longer gets work now that the “talkies” – movies with sound and dialogue – have come to the forefront of popularity in Hollywood. Impoverished screenwriter Joe Gillis (Danny Mac) stumbles upon Norma’s reclusive mansion and is persuaded by her to work on a film script she hopes will kick-start her acting career once more. Obsession, on Norma’s part, very quickly takes over and Joe finds himself in a world he cannot escape from, and trying to break free results in disastrous consequences for his character. Accomplished actress of stage and screen Ria Jones takes on the complex role of Norma Desmond like a duck to water, set to rival Sheridan Smith’s recent portrayal of Fanny Brice in the revival of hit musical Funny Girl. Jones deeply explores her character’s themes of delusion and obsession through natural stage presence, witty dialogue, lavish costumes and an extremely powerful vocal range. Her performances in songs With One Look and The Final Scene expose audience members to Norma’s delusional and complex fantasy world, which are at times purposefully funny, but at others sad to watch as Norma is quite clearly mentally ill.
Danny Mac captured the hearts of thousands competing in last year’s Strictly Come Dancing, and is now set to gain himself a new legion of fans through his portrayal of Joe Gillis. Mac’s American accent is highly convincing, his dialogue with both audience members and those on stage creates a wonderful storytelling narrative, and his smooth vocals could see him land a few potential male leads in other musicals when this tour finishes. There is even a small but definite tribute to his time on BBC’s hit dancing show, as Joe whisks Norma around the stage to an Argentine tango-style dance. Another character worth mentioning is Norma’s servant Max, played effortlessly by Adam Pearce. His role serves a very important purpose to the show, as he is a constant support network for Norma, throughout her good days and her bad. Their relationship adds to the emotional element of seeing Norma’s grasp on reality deteriorate. “Sunset Boulevard” is a timeless show because it shines light on the harsh realities of the film industry in the 1940’s and 50’s. Life in L.A may have appeared to be glamorous, but the reality for some was much more sinister. This production pulls out all the stops for audience members to realise this, which makes for an incredibly entertaining, emotional and unforgettable show.